From the groundbreaking partnership of W. H. Freeman and Scientific American comes this one-of-a-kind introduction to the science of biology and its impact on the way we live. 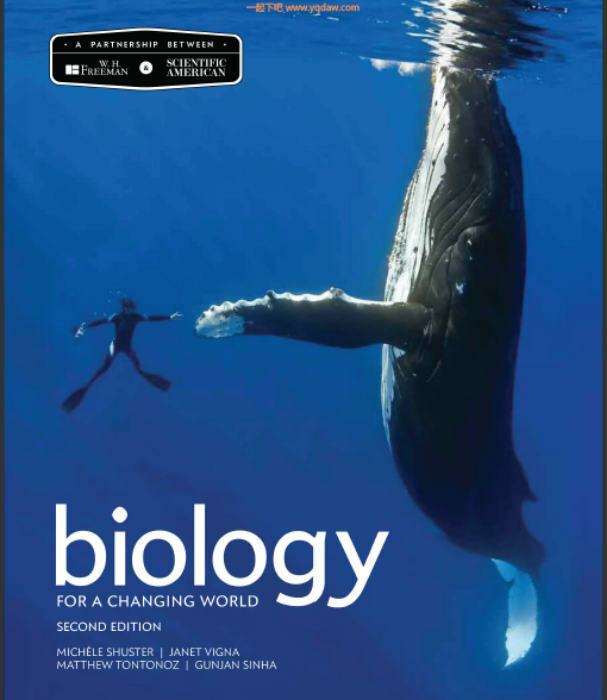 In this textbook, two experienced educators and a science journalist explore the core ideas of biology through a series of chapters written and illustrated in the style of a Scientific American article. Chapters don’t just feature compelling stories of real people―each chapter is a newsworthy story that serves as a context for covering the standard curriculum for the non-majors biology course. Updated throughout, the new edition offers new stories, additional physiology chapters, a new Electronic Teachers’ Edition, and new pedagogy. This textbook is available with LaunchPad. LaunchPad combines an interactive ebook with high-quality multimedia content and ready-made assessment options, including LearningCurve adaptive quizzing. See ‘Instructor Resources’ and ‘Student Resources’ for further information. GMT+8, 2019-4-23 04:51 , Processed in 0.350824 second(s), 67 queries .